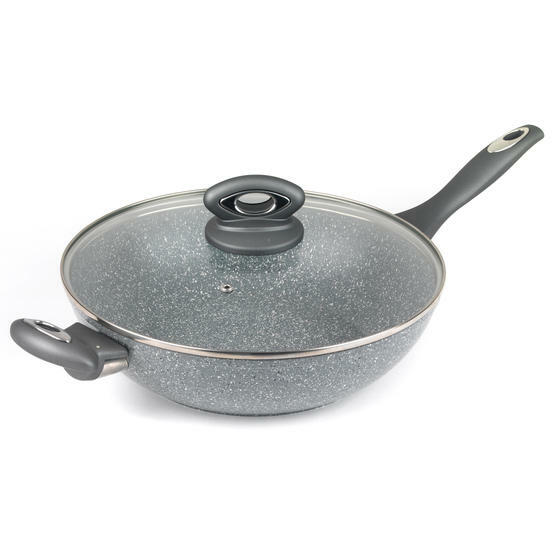 Designed for cooking convenience this modern wok from Salter has a revolutionary non-stick coating allowing you to cook with little or no oil. 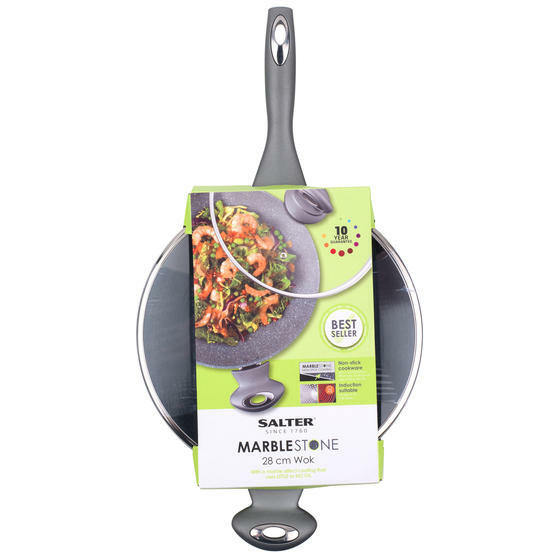 From the Marblestone range, it is suitable for use on all hob types including induction and it can be cleaned in the dishwasher after use. 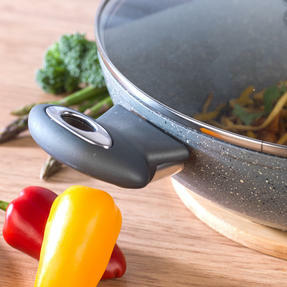 The wok surface is remarkably durable ensuring long lasting quality and it also has a soft-touch handle making it comfortable to manoeuvre. 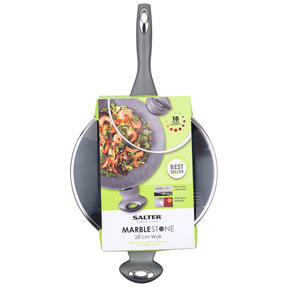 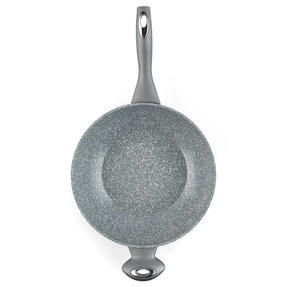 Stylish and practical, it is a superb addition to any cookware collection. 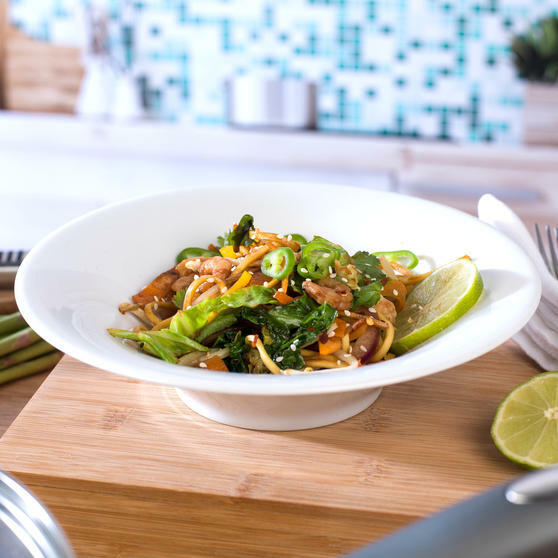 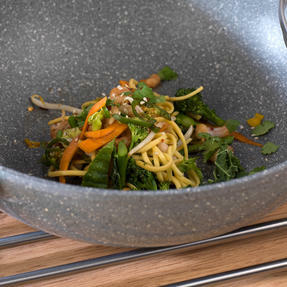 From the Salter Marblestone collection, this superb wok has a durable non-stick coating so you can cook with little or no oil. 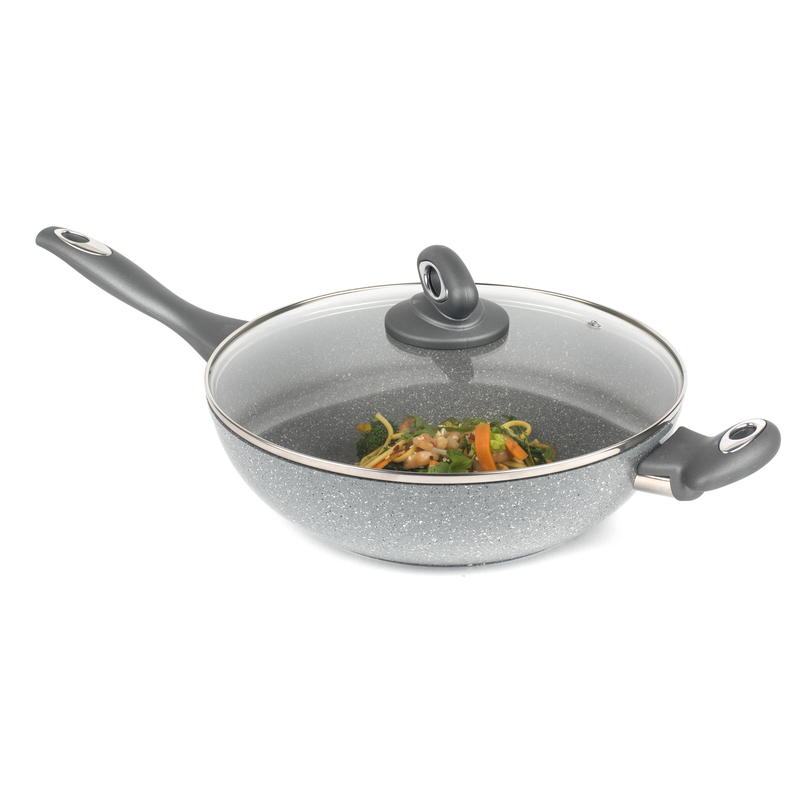 Featuring a glass lid with steam vents and a soft-touch handle, the wok measures 28 cm which is perfect for cooking family meals. 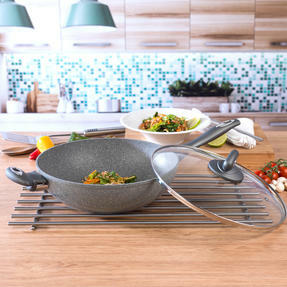 Ideal for everyday use, the marble surface is incredibly durable for long-lasting quality and it is suitable for dishwasher cleaning. 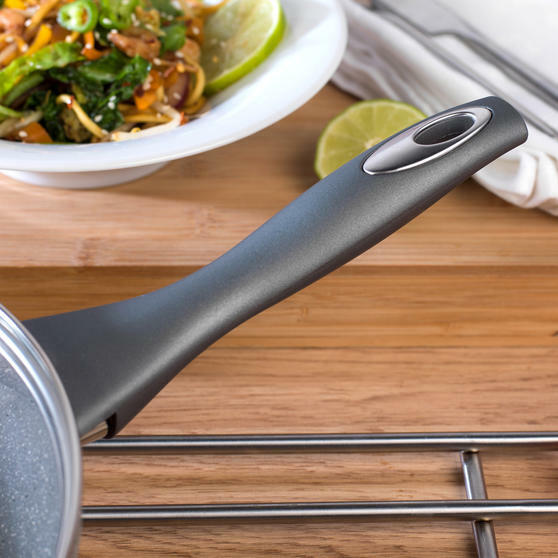 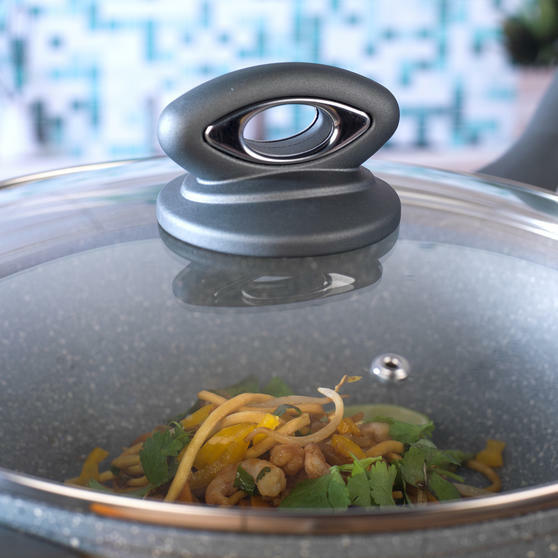 The wok has a stylish modern look with a grey marble finish and it has soft-touch handles for effortless manoeuvrability.